Each package contains 25 vials with Teflon®-lined caps to offer the maximum level of safety during use. High grade, optical quality, standard size (16mm) vials are protected in a premium EPS foam shipper for full compliance to global shipping requirements. 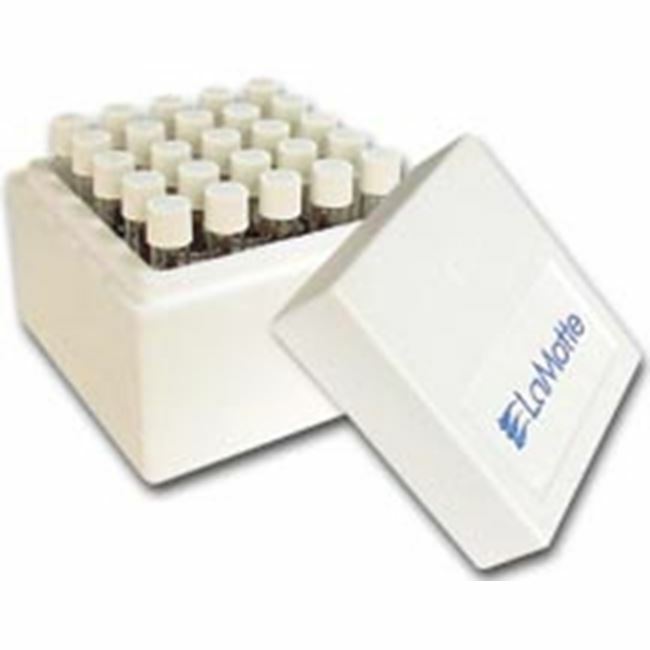 The user simply adds the test sample to the reagent in the vial and heats the vial for up to 2 hours at 150°C (±2°C). Once the digestion is complete just place the tube directly into the meter and read ppm COD. Measure low, medium, or high levels of Chemical Oxygen Demand using your choice of mercury (USEPA approved method) or non-mercury reagent systems. Twenty-five ready to use vials are provided in a fully protected shipping box to meet the demands of today's serious analysts.